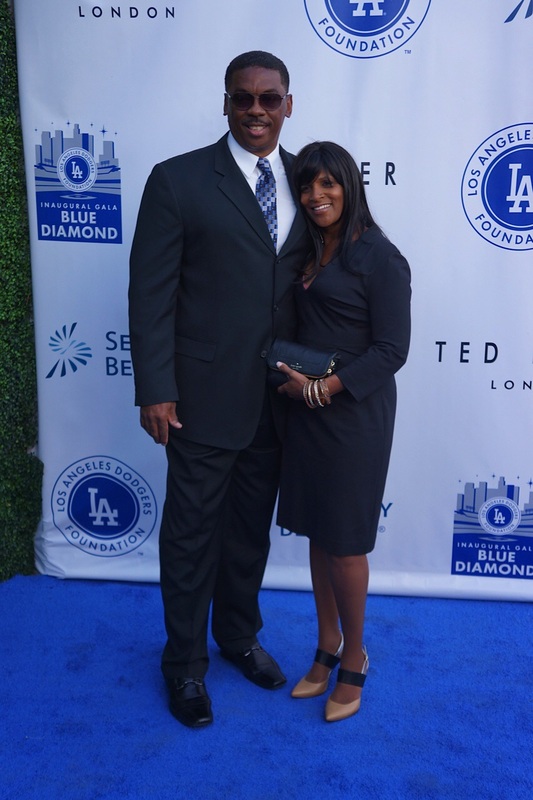 April 16, 2015 Over $2,000,000.00 was raised for charity at The Inagural Dodgers Blue Diamond Gala. 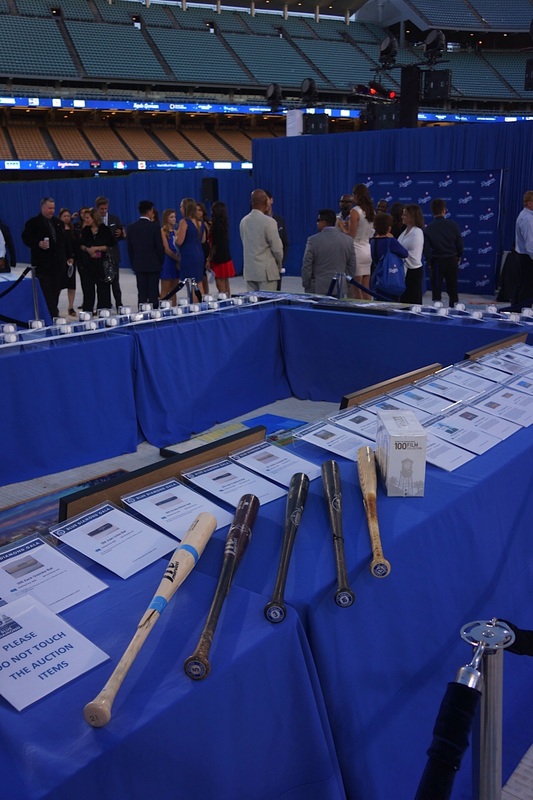 The Jackie Robinson foundation raised money along with the Los Angeles Dodger foundation. Their goal is to support education, literacy, and sports for families that are in need in the Los Angeles area. The Blue Diamond gala is the foundations first event for 2015. Many great things have been happening since new ownership took over. Magic Johnson is on the board of directors at the foundation and an owner. Last year the foundation raised $1,000,000.00 for charity. The Celebrities in attendance included Rachel Robinson, widow of baseball great Jackie Robinson. Many Dodger players from today and the past were in attendance. 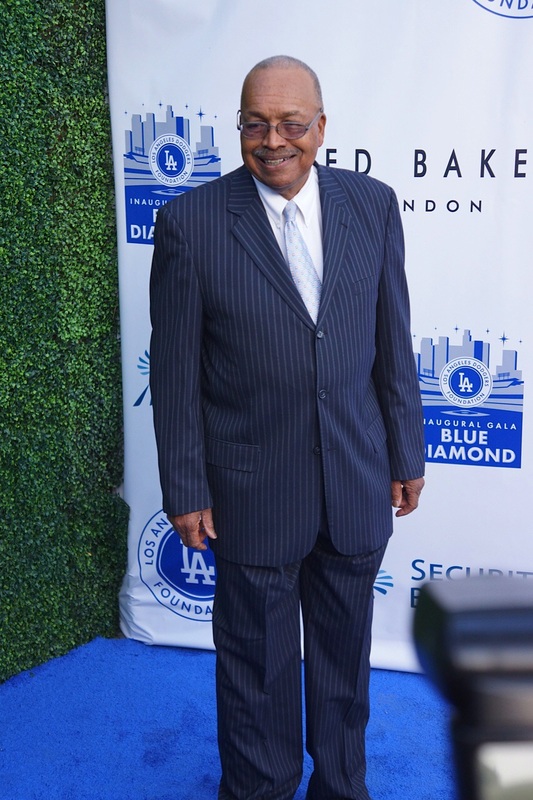 Tommy Davis of the Los Angeles Dodgers stopped by and had so many positive things to say about the Dodgers. He spoke of the foundation supporting literacy programs in the city and told some great stories about signing up with the Dodgers many years ago. Dennis Powell, a former Dodger pitcher stopped by with his wife to take some photos. These older baseball celebrities have such a positive outlook on life. It was a lot of fun to be around them and hear what they have to say. Darryl Thomas was an opening day pitcher in 1980. He went on to play every position on the field except pitching. He played for the Dodgers for 15 years and had many great things to say about them. Darryl went on to reflect on Jackie Robinson. How Jackie had opened doors for many black ball players. Darryl said that Jackie was well structured for the job. His experience in the military helped him deal with racism in baseball. Darryl said that baseball takes a lot of dedication. Finally, Justin Hartley walked the blue carpet with his wife. Justin said the silent auction is great way to raise money for kids. Originally from Chicago, Justin is a long time Dodger fan and supporter. He said the new ownership of the stadium is amazing. It was such an honor to meet these legends of Dodger baseball. It was a lot of fun to be down on the baseball field. It was also great that so much money was raised for inner city youth who will benefit from the programs that this night has funded.